ski station, where there are other 10 ski-lift systems : the first section from Aosta to the station of Les Fleurs, the second one from Les Fleurs to Pila with another intermediate station at Plan Praz. The new system with automatic clamping with 8-seater cabins and comfortable outdoor ski rack, a capacity of 2400 people an hour, built in 2008, replaces the 6 places cable car built in 1988. 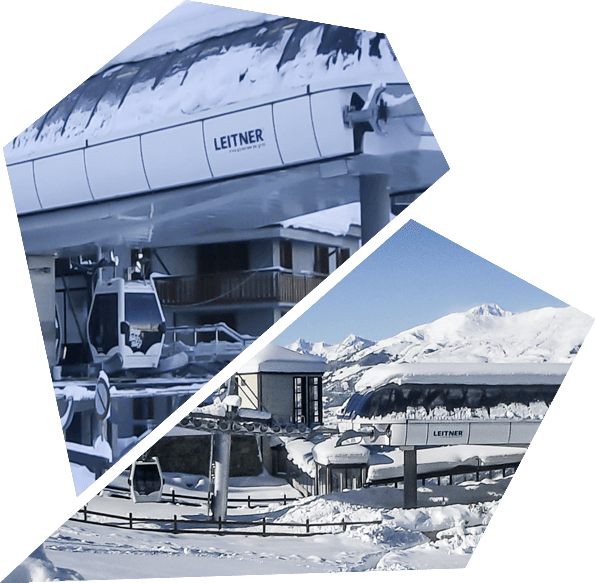 Assuming the function of LPT (local public transport), the vehicles go through the stations at low speed with easy boarding and disembarkation for skiers, pedestrians and persons with reduced mobility. remained those of the original system.